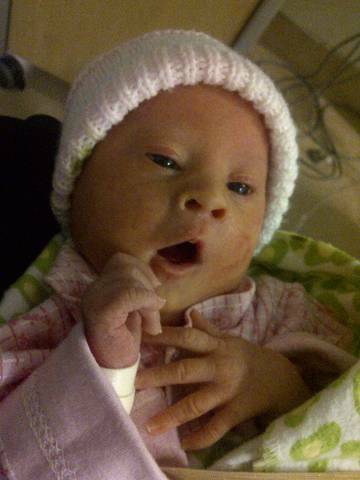 Hazel is one week old today! She is doing great. The doctors feel confident that she is digesting her food and have raised the dosage of breast milk and lowered the IV fluids. She gained back 50 grams of the weight that she had lost after she was born which is great. They are also considering moving her out of her incubator to a bassinet which makes it alot easier for us to pick her up and snuggle whenever we want! 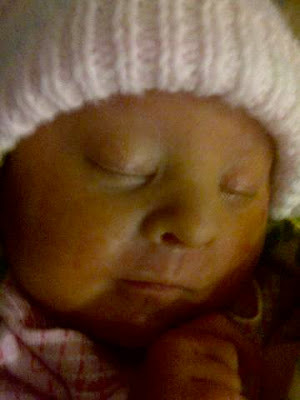 Here is a pic we took of her yesterday...she has no tube in her nose as they were changing it so we grabbed a few pics. Hazel at 3 days old!